During our last European tour together with Kells (fr) and ReVamp, we went twice to a restaurant called 'Maredo'. The first time we went was in Berlin, the second time it was in Vienna. Since most of the guys are absolute carnivores, Maredo seemed a good choice for all of us to get our kicks. However, I decided to go twice for the Salmon-Spinache-Gamba dish. I don't eat a lot of meat in general, maybe twice a week at the max. 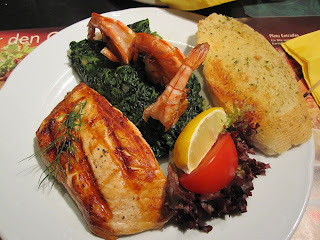 The salmon was juicy and the spinach was nicely spiced. I enjoyed it so much that I got Floor (ReVamp) to order it as well when we where there together in Vienna. Coen wanted to know what I was eating. The salmon sure looks yummi. You're so cute with the bee suitcase. Nice pics! I want this suitcase! Lovely. I like your enormous H&m shopping bag :D! OMG! You and Floor in the same place? So perfect! Omg.. the suitcase had wings and a sting too! That bumblee bee suitcase is amazing! Looks like you guys had fun! Hahaha i really enjoyed the pictures. I saw the first one picture of Floor in her facebook profile, really beautiful. 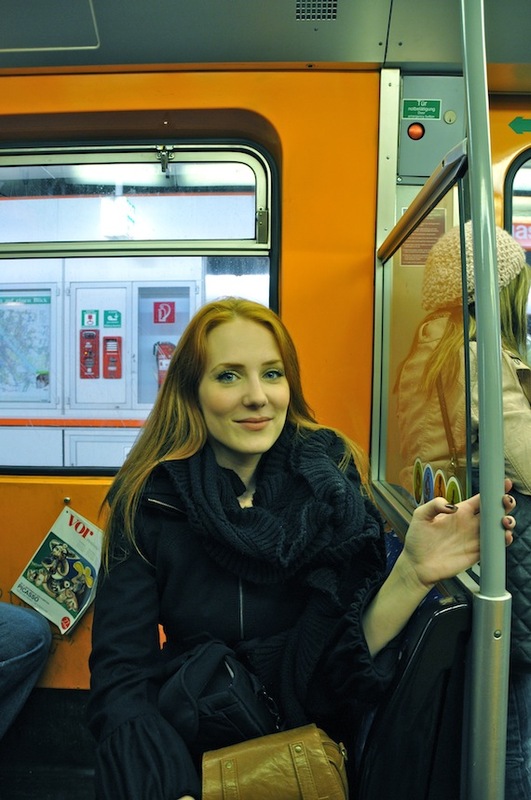 Nice blog and nice pics :-) We had such a great day in Vienna!!!! I'm not a big fan of seafood and fish, but the presentation of the dish is excellent. 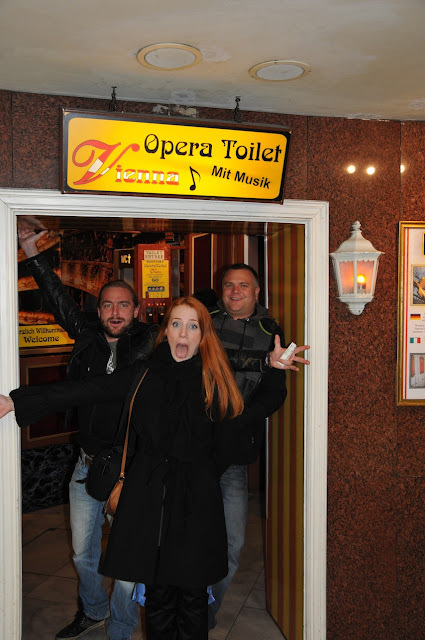 The 'opera bathroom' sounds rather epic, and now I want to go there to see what it's all about and experience it for myself ^_^. The Opera bathroom is great! xDDDD I loved the pic, probably because I was there last summer.